This patriotic necklace is a fun and easy way to celebrate all those summer holidays in style. This introductory jewelry project combines paper rosettes, ribbon, and jump rings into a great project for all ages and levels of crafting. 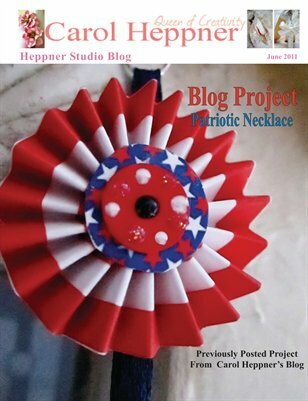 This necklace project can also be found on my June 6, 2011, blog post at http://heppnerstudio.blogspot.com.